I pointed out that women stood to lose a lot if those Republicans were elected – namely, their right to choose what they can do with their own bodies. The Tea Partier saw it differently. Her reply was: “as far as Roe v. Wade, that’s never going to be overturned. I really believe that. There are plenty Republicans who are pro-choice.” In her mind, it was okay if some anti-abortion Republicans were elected, because they wouldn’t be enough to affect abortion rights. She was wrong. The situation we find ourselves in now is that Republicans – thanks to their gains in the last election – have introduced laws that would make abortions illegal in their states, even though that violates Roe v Wade. Why are they empowered to take this illegal action? Because it was drafted by the National Right to Life in such a way that if pro-choice advocates sue, the case will likely end up in the Supreme Court. The Supreme Court has a likely 5-to-4 anti-abortion majority, thanks to George W. Bush’s appointment of Samuel Alito. “The problem with bringing a lawsuit in federal court to challenge these state laws is exactly what you said. We are afraid that the Supreme Court actually might take the opportunity to overturn Roe versus Wade. This is a court that is led by John Roberts, a man who frankly misled the United States Senate during his confirmation hearings. He talked about how he thought that being a Supreme Court justice would mean that he needs to be an umpire, just calling the balls and strikes. You know, not putting his thumb on the scale. And then under Roberts’ leadership, the Supreme Court reached out in the Citizens United case to actually address an issue that had not been presented to the court. And in Citizens United, they reach out, take an issue that was not presented to the court, and they open the floodgates for corporations to basically buy elections. So, this is a court that is extremely activist when it wants to be. And I am really afraid that under Roberts’ leadership, and with Samuel Alito on the court, we could have a 5-4 decision either overturning Roe versus Wade or so gutting it that it might as well be overturned. If it’s not challenged, then, yeah, the law does stand. Unless you can take it to court and get a preliminary injunction or an injunction against the enforcement of it — yes, the law would stand. And here’s the thing — this hostility to women’s abortion rights doesn’t stop with abortion. What we’re seeing across the board really is hostility to women’s reproductive health care rights. 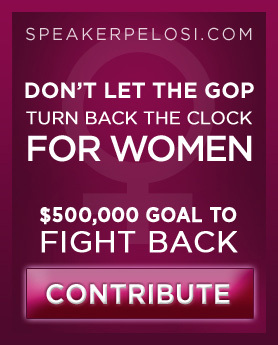 We just had a fight in which the extremists in the House of Representatives and in Congress tried to cut off funding, all funding, for family planning clinics that serve more than 5 million women and men every year, right? These are family planning clinics that don’t provide abortions, that provide contraception, pap tests, mammograms, STD testing and treatment, HIV/AIDS testing.